Beijing (AFP) - Chinese companies have been illegally fishing off the coast of West Africa, environmental campaign group Greenpeace said in a study Wednesday, at times sending incorrect location data suggesting they are as far away as Mexico. The number of Chinese-flagged or Chinese-owned fishing boats operating in Africa has soared in recent decades, from just 13 in 1985 to 462 in 2013, the international advocacy group said. It said it found 114 cases of illegal fishing by such vessels in periods totalling eight years in the waters off Gambia, Guinea, Guinea-Bissau, Mauritania, Senegal and Sierra Leone. The boats were mainly operating without licences or in prohibited areas. 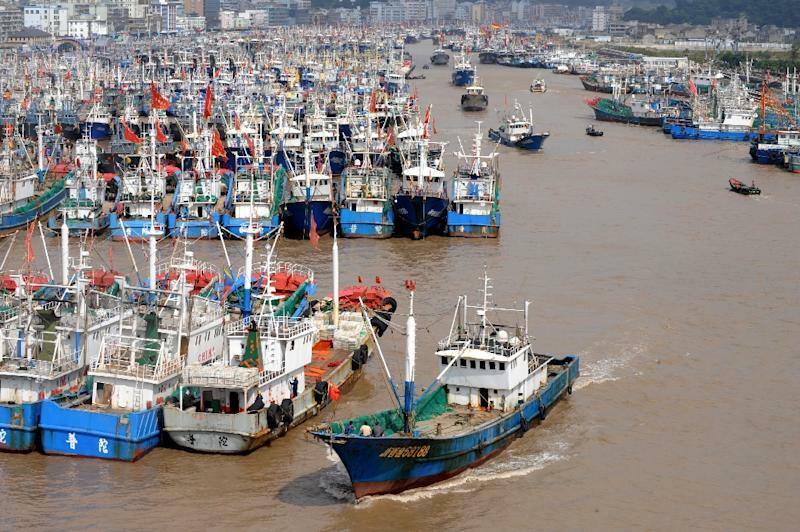 Among them, 60 cases involved vessels of the China National Fisheries Corporation (CNFC), a state-owned company charged with developing fishing in distant seas. "While the Chinese government is starting to eliminate some of the most destructive fishing practices in its own waters, the loopholes in existing policies lead to a double standard in Africa," Ahmed Diame, a Greenpeace Africa ocean campaigner, said in a statement. 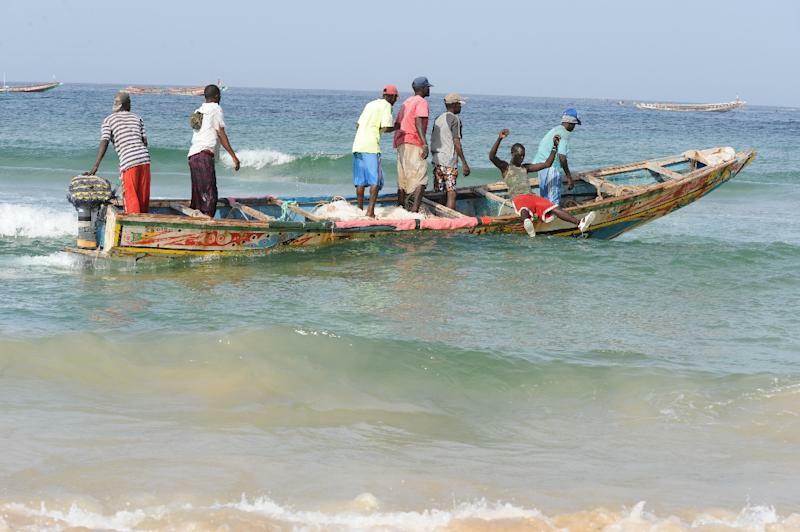 The cases were reported by the Surveillance Operations Coordination Unit of the Dakar-based Sub-Regional Fisheries Commission, various national lists of infractions, and by Greenpeace itself, it said. A Greenpeace ship found 16 cases of illegal fishing by 12 Chinese-flagged or -owned vessels in one month last year, the group said. Some of the ships Greenpeace observed were reporting incorrect Automatic Identification System (AIS) information, the campaign group added, including data that suggested they were in Mexican waters -- or even on land. The CNFC under-reported gross tonnage for 44 of its 59 vessels operating in West Africa, the report alleged, a practice that enables companies to evade licensing fees and could potentially mean they were fishing in prohibited areas. A CNFC official hung up when asked to comment on the report by AFP on Wednesday. The Chinese ships were "taking advantage of weak enforcement and supervision from local and Chinese authorities to the detriment of local fishermen and the environment", said Rashid Kang, head of Greenpeace East Asia's China ocean campaign. "Unless the government reins in this element of rogue companies, they will seriously jeopardise what the Chinese government calls its mutually beneficial partnership with West Africa," he added. Chinese companies are increasingly looking abroad for resources, with fish stocks no exception. Fishing resources are also an element of the competing territorial claims in the South China Sea, which Beijing claims almost in its entirety. China has clashed with Vietnamese and Philippine fishing ships in the region, sometimes boarding vessels or chasing them off with a water cannon.